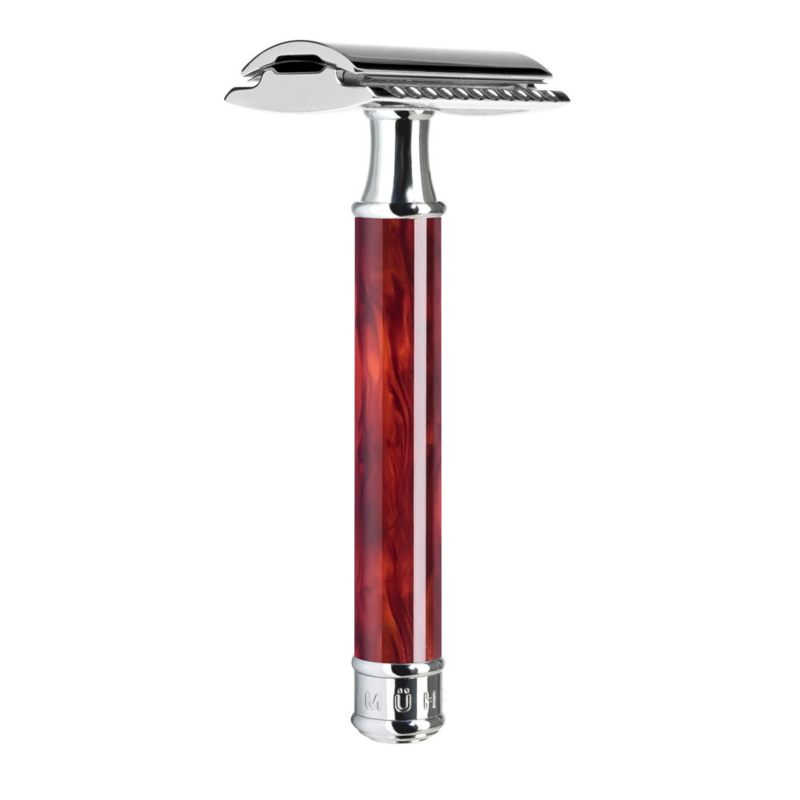 The Muhle Tortoise Shell safety razor is certainly eye catching. Also faux tortoise shell was popular In the 1920s. We love for it’s elegant swirls and darkest of reds. Lined with brass this razor is perfectly weighted at 64g for It’s 94mm In length. 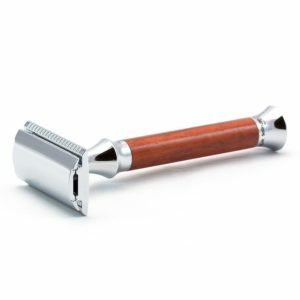 The Muhle R108 tortoise Shell safety razor has a closed comb head. It is also set at a middle aggressive angle. 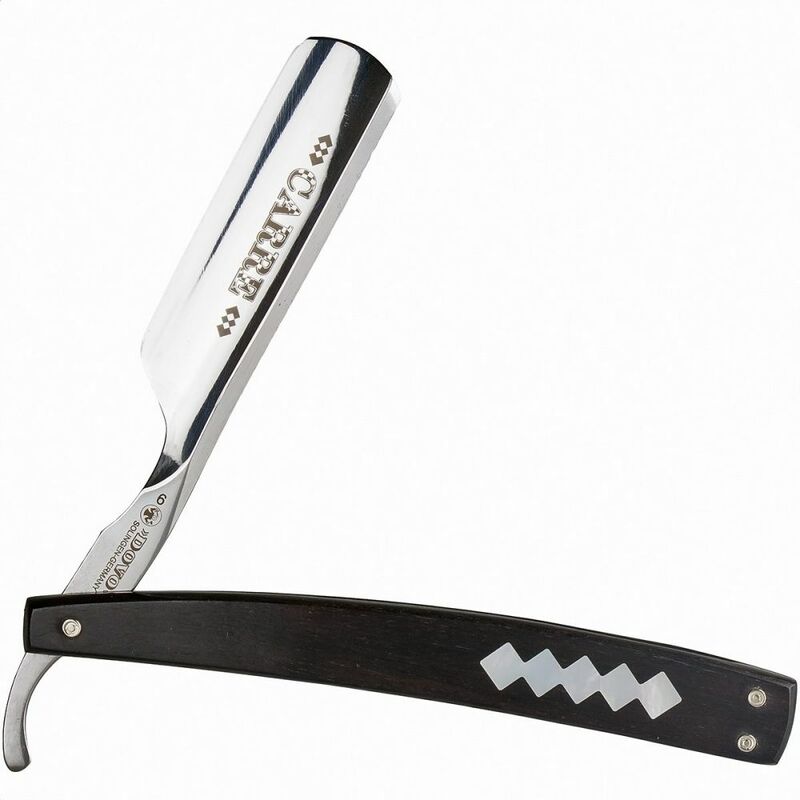 Making this elegant razor a safe yet strong shave, eliminating any rogue hairs. Safety razors are a way of obtaining a professional level shave in your own bathroom. Double edged blades are less expensive than cartridge blades costing a fraction of the price. At Edwards we sell 8 different brands for you to choose from. DE blades are abundant world wide and are universally sized, most chemists stock a couple of brands. If you have not already, why not check out our traditional shaving blog. It has a great deal of Information on razor technique and also product Information. At Edwards we realize everyone’s hair growth and skin type is different, therefore we try to taylor make purchases for our customers. Therefore with this in mind, why not contact us and discuss what traditional shaving kit would be good for you? 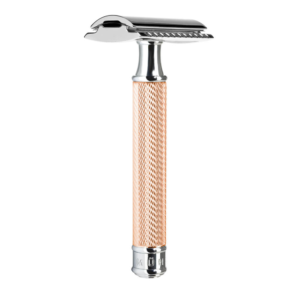 At Edward’s we aim to get the best safety razor for your needs too you. 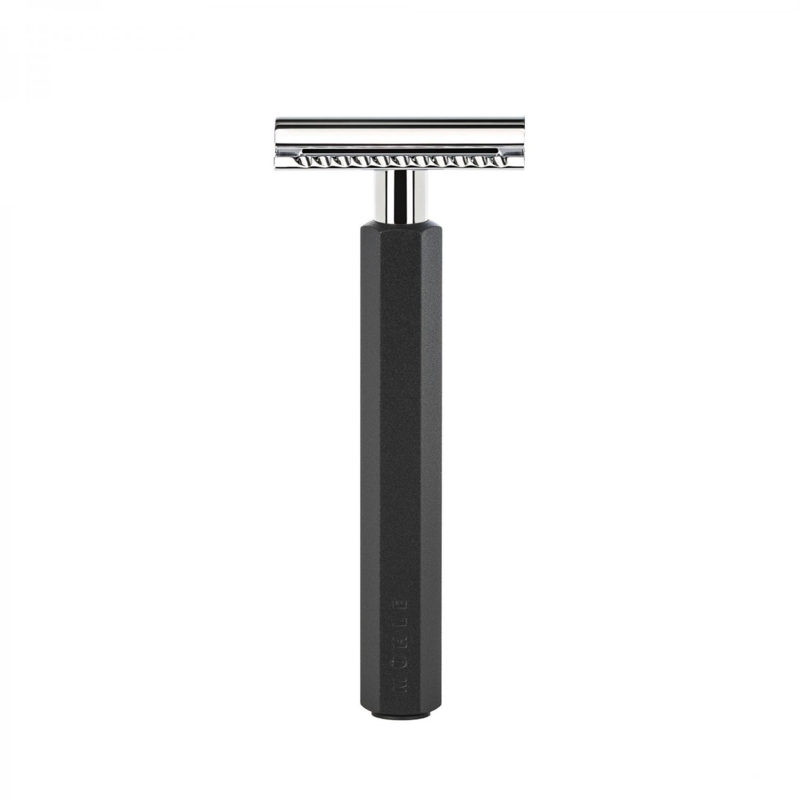 This really is a good all round razor which is one of the most elegant on the market. Who wouldn’t be happy with this on their bathroom shelf? Muhle are a 1945 company from Germany, who make the most desirable razors in the world. They use the best materials for the job and there craftsmanship is flawless. Only holding one of their razors will help you understand this. We can send you one tomorrow.